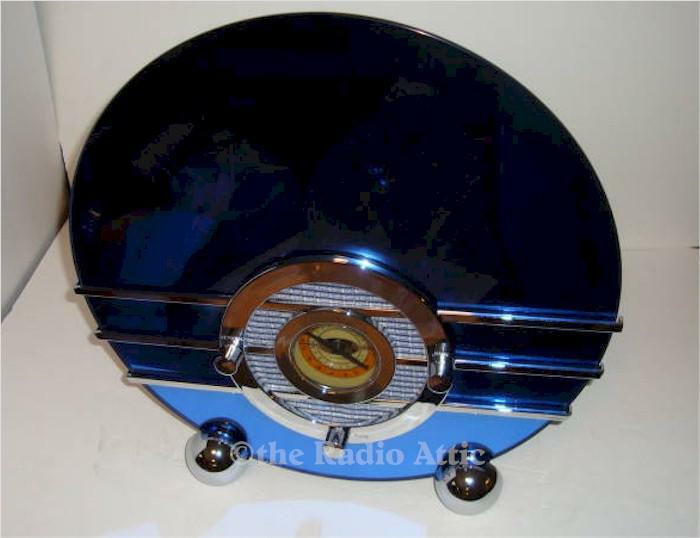 This is the beautiful repro of the Sparton blue glass Bluebird radio. It is NOS, never used and in its original plastic bag and Styrofoam packing, and has its paperwork. I plugged it in and tested it. All works well including the cassette player. Add $45 for domestic shipping.